Round is an investment app with a twist. Unlike many other investment apps that automate investment management, Round relies on real human investors to manage your money. By using a professional investment team to manage your money, instead of computers, Round claims to provide you with better returns. It is easy to make small weekly contributions to your investment accounts automatically using Round so your nest-egg principal grows steadily over time. 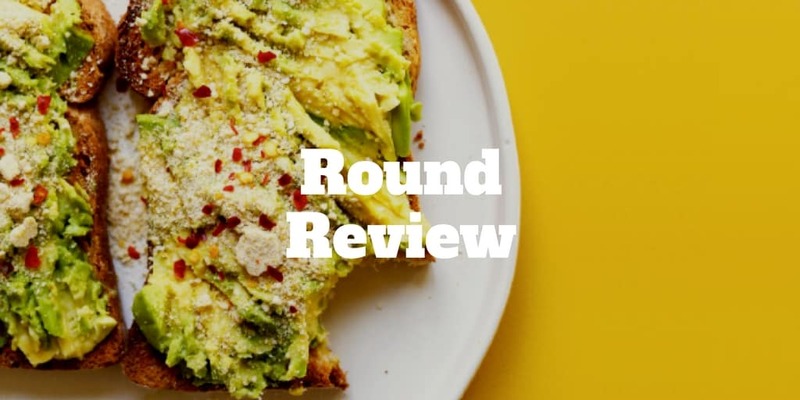 And with a team that has $10 billion of investing experience and counting, Round is a welcome alternative for investors concerned about the purely automated approach used by most robo-advisors. Can you use a credit card to fund your Round account? What is the minimum account size or deposit? 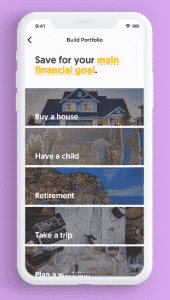 When you open a Round account, the app asks several questions to generate a portfolio that will help you invest in vehicles designed to reach your goals. For example, if you want a safe way to grow your savings, Round might put your money into an account dominated by bonds and bank loans. If you want a larger ROI and don’t mind accepting more risk, then Round can generate a portfolio that includes stocks in emerging markets, small companies, and cryptocurrencies. Within 3 minutes, Round will help you set up an account designed for you. Robo-advisors can make it easy for people to invest money without paying high fees. Round claims that it can earn a larger return on your investment by putting money into the hands of human managers. 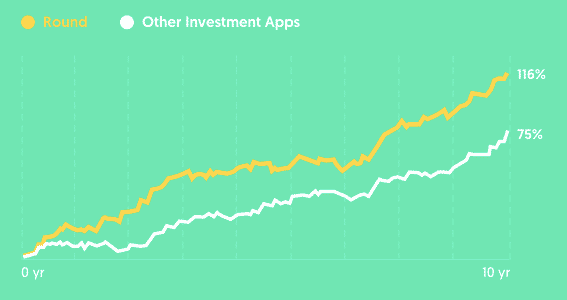 Over a 10-year period, you can expect most investment apps to grow by about 75%. Round’s simulations say that its app and managers can grow portfolios by 116% over the same amount of time. No one can guarantee that an investment will generate money. According to Round, though, you stand to earn more by choosing a human-managed account instead of a robo-advisor. You can open a Round account with as little as $5. Round will store your investment with Apex Clearing, which has SIPC insurance that covers up to $500,000 of your money. Even if someone steals your money or Round goes out of business, you get up to $500,000 of protection. Round has waived its advisory fees until June 1. 2019. Apex Clearing, as well as certain mutual funds and ETFs (exchange-traded funds), may charge fees, though. After June 1, 2019, Round will likely charge a $1 monthly fee for accounts containing less than $1,200. Accounts containing more than $1,200 will probably pay a 1% annual fee. If you have an account worth $5,000, then you would pay Round $50 per year or a little more than $4 per month. Round is a good option for investors that prefer human managers over robo-advisor’s. It’s a relatively young company, but it works with professionals who have years of experience. When you invest your money with Round (InvestRound.com), your custom built portfolio is diversified with over 2,500 underlying assets. 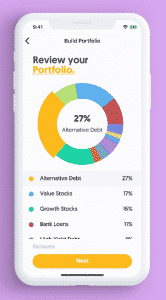 Although Round is a newcomer, it already ranks among the very best investment apps because of its unique portfolio management approach. Arguably it stands alone by relying on human managers to use discretion when allocating money. When markets are risky and seemingly overvalued, Round can move money to less risky assets whereas a regular robo-advisor may be more constrained. While Round portfolios are invested in stocks and bonds, they also feature alternative debt, which is an asset class few ordinary investors can select, as well as cryptocurrencies. Coming soon, investments in cryptocurrencies like ethereum, litecoin, and bitcoin. According to Round, the returns earned by its human-led investment method outperformed the performance of other investment apps over a ten year period by 3% annually, net of fees. These returns are based on hypothetical, back-tested simulations, so the usual disclosures apply that past performance doesn’t necessarily translate to the future. Impressively, Round outperformed its competition in spite of charging higher fees of 1% compared to 0.25% by robo-advisors. These results represent Round’s most aggressive portfolio allocation and compare the results to the most aggressive portfolio allocation of robo-advisor competitors. One major difference between Round and its robo-advisor rivals is that the digital advisors use passive exchange-traded funds primarily whereas Round combines ETFs and mutual funds to construct portfolios. Invest Round management fees are expected to be 1% after it launches fully. For accounts with balances below $1,200, a monthly charge of $1 is applied. If you invest $3,000, the annual fee would be $30 which translates to a monthly charge of $2.50. Robo-advisors and investment apps like Round also pass on expense ratio charges to clients. While management fees and expense ratios can hurt overall returns in the long run, InvestRound claims that it could still save you money because your money is invested on a discretionary basis versus a computer algorithm. *The Savings Account amounts shown represent the national savings rate calculated by the FDIC as a simple average of rates paid by all insured depository institutions and branches for which data are available at the time of the calculation. The returns are net of a 1% fee charged by Round and 0.25% charged by robo-advisors. Where Round earns top marks is its highly intuitive and easy-to-use mobile interface. It’s a breeze to connect your bank accounts and deposit funds. But more than an investing portal in the palm of your hand, Round shines when it comes to helping you target your financial goals. You can get started with as little as $50. Whether saving to buy a home, preparing for a bigger family, building a retirement nest-egg, putting money aside for a wedding, or taking a trip, Round helps you to keep better financial track. You can also view your portfolio allocation in a polished interface that leaves you with no doubts about where your money is invested. ✅Performance Returns: Based on back-tested simulation returns, Round has superior returns than many robo-advisor investment apps. ❌Fees: Compared to many investment apps that feature digital advice only, Round expects to charge a higher annual management fee of 1%. ✅Minimum Account Balance: As long as you deposit at least $50, you can get started with Round. ❌New Investment App: Round is a new investment app so it still has to prove that its human-led investment method performs better over time. ✅Diversified, Tailored Portfolios: Round portfolios are diversified across 2,500 securities and are tailor-made to you. ❌Limited Account Selection: Unlike leading robo-advisors, Round doesn’t support a wide range of account types like trusts and partnerships. ✅In-App & Newsletter Updates: When you sign up to Round, you will receive regular updates both in-app and via email. ✅Human Led Investment Team: Round relies on a human-led investment team who can modify portfolio allocations depending on market risk levels. ✅Cryptocurrencies & Hedges: Round includes cryptocurrencies and hedging strategies in its portfolios to manage risk better. No, you are only permitted to fund your Round account with a checking or savings account. The minimum account size is $50. Round uses bank-level security, featuring 256-bit encryption and HTTPS Secure Socket Layer certificates. Your social security number and bank / login information is not stored by Round. Your investments are covered up to $500,000 through the Securities Investors Protection Corporation (SIPC). Your money is held in a brokerage account in your own name at Round’s custodian bank, Apex Clearing, which has supplemental insurance through Lloyds of London. 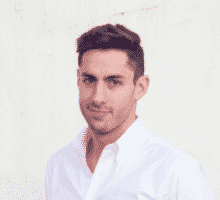 Round was founded by Saul Cohen and Ron Rojany. Saul Cohen worked at Guggenheim Partners, where he was part of a portfolio management team that managed billions of dollars. He’s an award-winning investor for hedge fund and mutual fund strategies. And he previously worked in investment banking with a focus on financial derivatives. 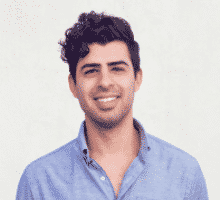 Ron Rojany was previously a software engineer at a big data marketing company called Bridg. He’s also headed up product development for a health tech company that built hardware and software. Round is an investment app that stands out from its rival by giving you access to human account managers. Unlike most investment app, Round doesn’t solely rely on algorithms. Instead, it puts your money to work under the guidance of experienced account managers that can help you reach your financial goals. Both conservative investors seeking diversification and risk-seeking investors seeking exposure to alternative asset classes like cryptocurrencies are provided tailor-made portfolios. Although Round charges higher fees, it also claims superior performance returns over the past decade. The bottom line is that while Round is a newcomer, it may be a good fit for you if you prefer the idea of human investment managers overseeing your portfolio, even if it means paying a premium for the potential to earn more.